Citroen was founded almost a century ago, and since then, it’s sold roughly 50 million vehicles worldwide. 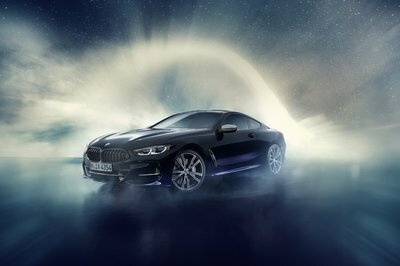 To help celebrate this momentous achievement, the French automaker is unveiling a new hybrid crossover concept for the upcoming Shanghai Motor Show, highlighting the brand’s forward-thinking philosophy with the latest technology, design language, interior innovations, and powertrain developments. 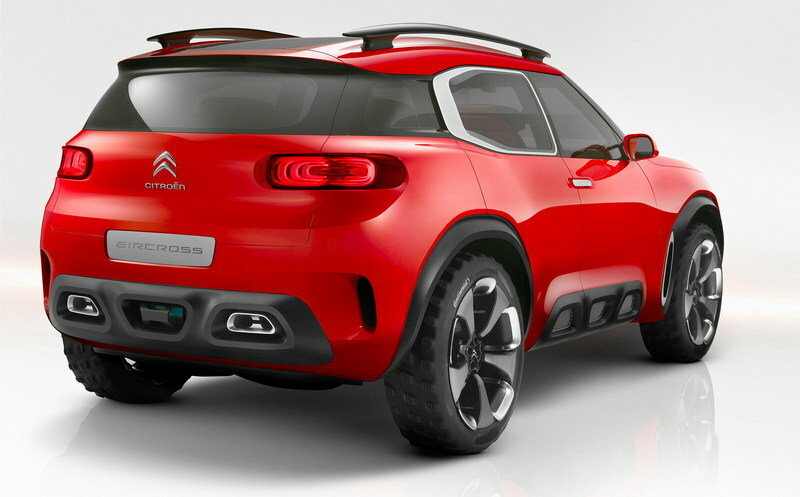 The concept draws heavily from the successful C4 Cactus, but brings a few fresh ideas to the table with typical Citroen flair. The double-chevron brand chose Shanghai for the debut as a means of reflecting “...the importance of the Chinese market, which accounts for 25 percent of total sales, and stands as Citroen’s number-one market.” However, the Aircross was designed to reflect the demands of customers everywhere, mixing comfort, performance and economy into one cohesive package. While still only a concept, the Aircross might be a good signifier of things to come from Citroen. 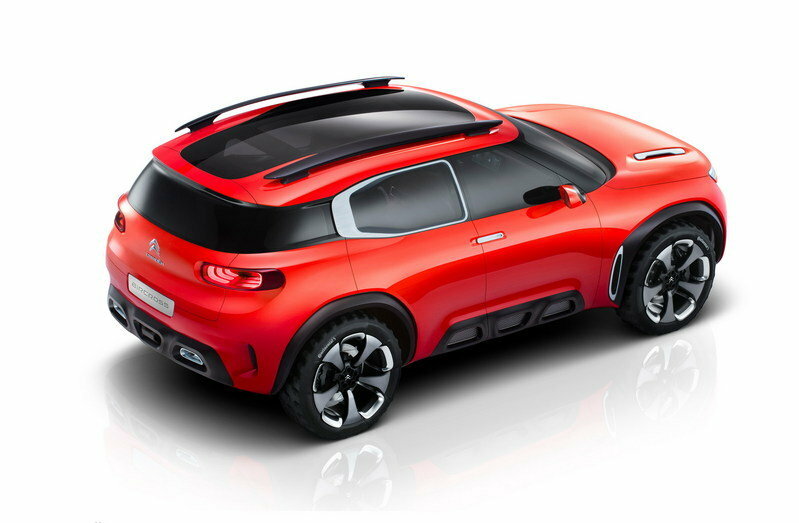 And even though some of the ideas it presents could be seen as too radical for mass consumption, don’t discount anything – Citroen has been known to embrace even the craziest concepts if they show potential. This is historically evidenced by the wonderful DS of the 1950s. Check it out here. 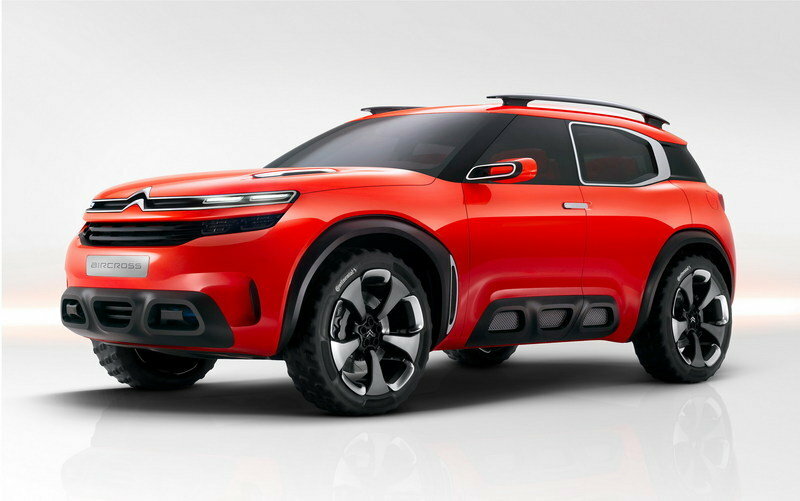 Continue reading to learn more about the Citroen Aircross Concept. Aesthetically, it’s easy to spot the similarities between the Aircross and Cactus. The front end is rounded and short, the lines are simple and the body curves gently without too many angular cutoffs. The Aircross builds on this with a split upper air intake, higher stance, beefier wheel arches and upright hatch. While the Cactus is a compact crossover, the Aircross is all SUV, both in looks and dimensions, sporting 16.5 inches of extra length, 14.2 inches of extra width, and nearly 10 inches of extra height. The new language includes a redesigned chevron emblem and two-tier lighting signature that first appeared on the C4 Picasso. Out back, the taillights have a 3D-effect that looks deeply set into the rear end. 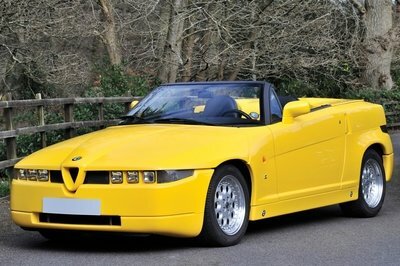 The floating roof and wraparound glass almost lend it a two-tone appearance. 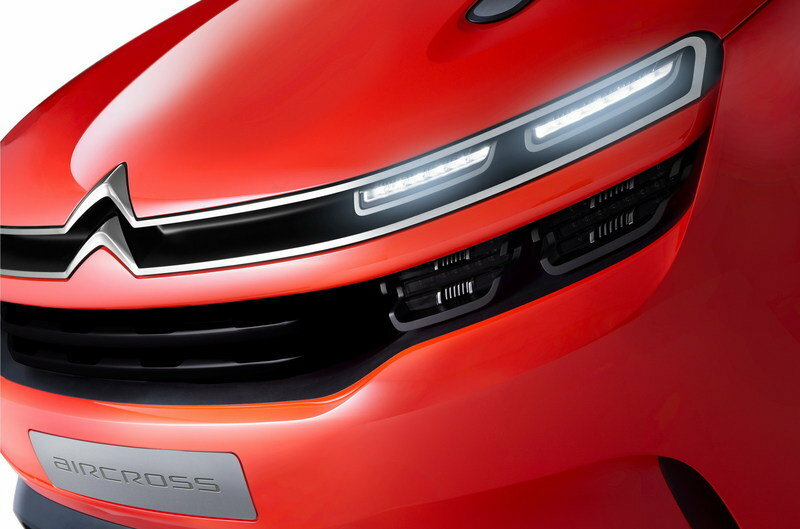 With a name like Aircross, one would expect Citroen to address the vehicle’s aerodynamics. Appropriately, the automaker incorporated a number of features designed to help the tall, boxy body slip through the air with greater efficiency. These include “Air Signs,” which are chrome-finished surrounds for the rear windows that direct air into specific channels. There are also “Air Curtain” intakes up front in the bumper, front and rear wheel-arch air extractors, and tapered side mirrors. 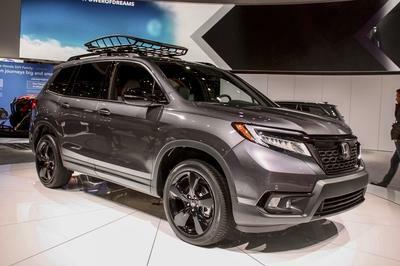 Ingress to the Aircross is eased by rear suicide doors, which swing back to reveal the absence of a dividing pillar between the front and rear seats, ala Honda Element. The interior colors reflect the exterior paint, with bright orange, white and black used throughout. Citroen says it incorporated “geometric shapes” when designing the interior, most obviously in the boxy seats, squared steering wheel, and straight, purposeful lines. It all feels very horizontal, with rectangular elements in the doors, seats and central console. 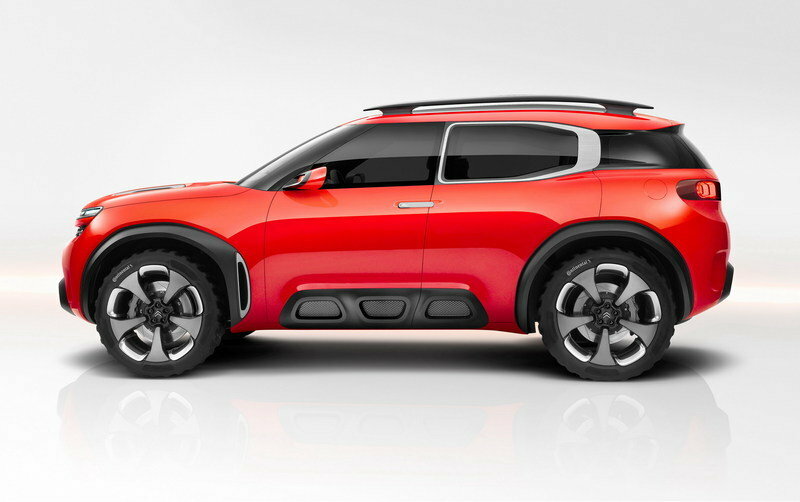 This lends an enhanced sense of spaciousness, something Citroen calls the “sofa spirit,” first seen on the Cactus and reinterpreted here for the SUV Aircross. The floating dashboard up front is simple, with only a few air vents and two large screens in place to interface with the driver and front passenger. A heads-up display helps the driver keep tabs on vitals. 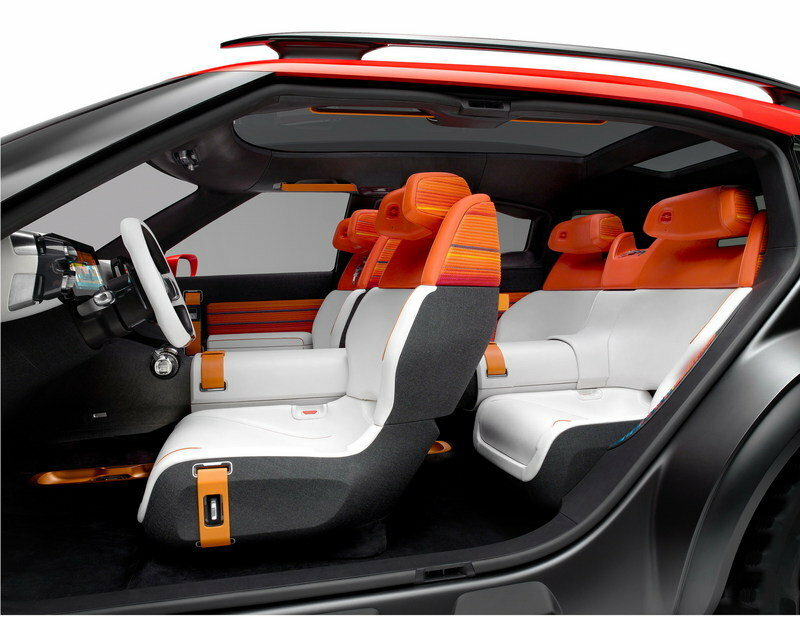 The upholstery is white leather with orange stitching and a mesh-like material. Citroen calls the seats “king-size,” with wraparound headrests and deep bucket bolstering. 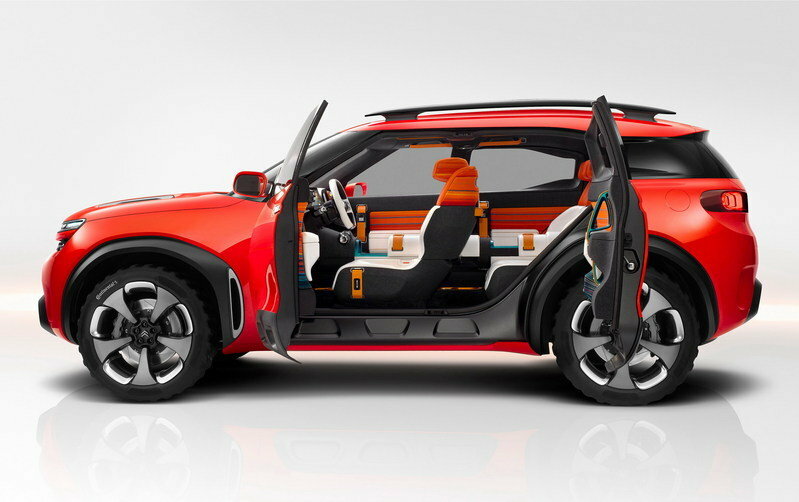 Citroen wanted to emphasize the theme of travel, and infused the Aircross with a “luggage-maker spirit” that’s conveyed through copious storage spaces and compartments, including the large central console running lengthwise through the cabin. Storage is also found in the door panels and in the upper portion of the dash. The theme continues with the use of straps for handles, found on the doors and console in bright orange. Infotainment is also quite unusual. The two 12-inch HD screens in the dash are adjustable, either separated into two individual screens or merged into one, which is a feature the driver can control via touch pads on either side of the steering wheel. One of the screens can also be transferred to the passenger with “a simple movement of the hand via a detector on the console. With this feature, passengers can access information on the move, watch films, select music and even choose a local exhibition to be visited.” What’s more, each seat is outfitted with speakers and a microphone, enabling “audio spatialization,” which translates into either easy communication or an individualized audio experience. Finally, there are two webcams in the doorframes on either side of the cabin that allow the passengers to take pictures of their journey for easy social media sharing. The images can also be used to gather information on local points of interest, connecting to the navigation system for quick detours when desired. The plug-in hybrid drivetrain on the Aircross uses a gas-powered engine to drive the front wheels and an electric motor in the rear axle to drive the rears, thus creating an AWD system that provides good traction, decent economy and solid power. The ICE is a 1.6-liter turbo high-pressure unit that creates 218 horsepower and 203 pound-feet of torque, while the electric motor creates 95 horsepower and 148 pound-feet of torque. Juice for the motor comes from a lithium-ion battery pack that can charge to full in three and a half hours via a 16A domestic socket. In zero-emissions mode, the Aircross purportedly gets 31 miles of range. 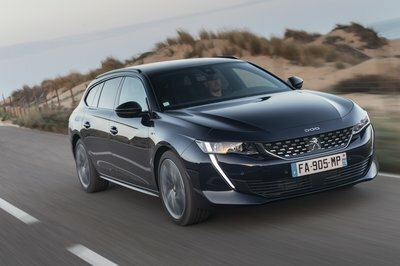 Citroen says combined fuel consumption is 166 mpg, while emissions are just 39 g/km. In stop-and-go traffic, the hybrid system maximizes fuel economy by drawing from both the electric and gasoline power sources, while the ICE takes over on the highway for max power. If speed is what’s needed, there’s a boost function that combines the ICE and electric motor for an optimum 313 horsepower, giving the Aircross a 0-to-60 time of just 4.5 seconds. 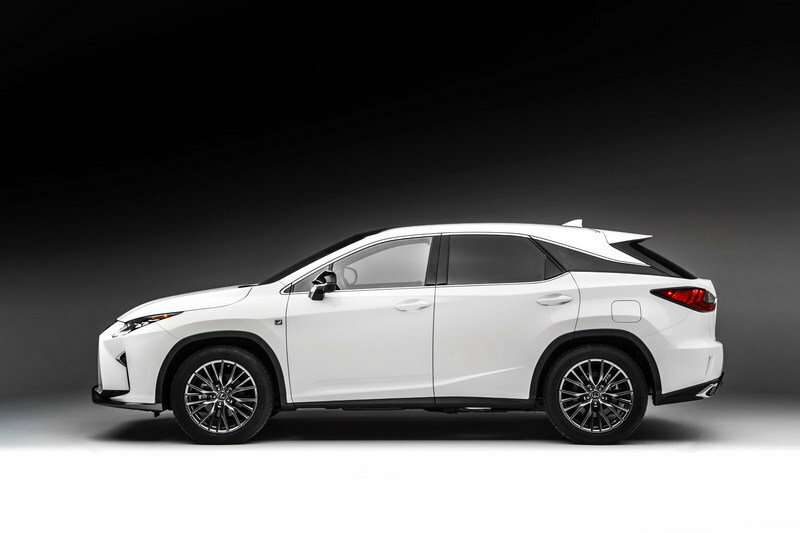 Making its world debut at the 2015 NYAS, the new Lexus RX is the fourth generation of the premium brand’s all-time best-selling model. Every facet of the RX gets an update for 2016, including sharp, angular styling on the outside, dominated by a single-piece front grille. The interior comes with a redesigned rectangular infotainment screen sitting on top of the dash, rear-facing screens for the rear passengers, premium materials, and a large moonroof. The hybrid drivetrain combines an Atkinson-cycle 3.5-liter V-6 with an electric motor to generate around 300 horsepower. This mates to an eight-speed automatic, and AWD is available as an option. 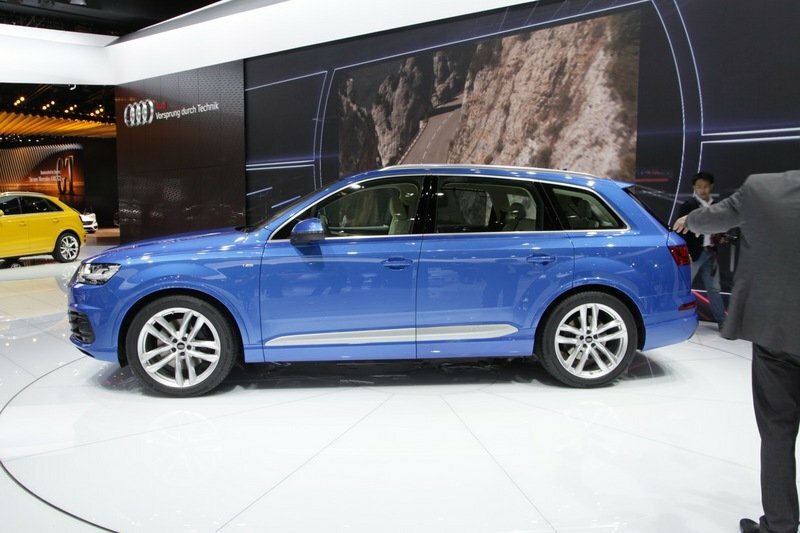 The four-ring badge first dropped cover on its full-size SUV in 2005 at the Frankfurt Motor Show, but it wasn’t until the 2016 model year that Audi endowed it with a plug-in hybrid drivetrain option. The Germans also cut out a lot of mass, so the new model weighs 716 pounds less than its predecessor. Inside, you’ll find more space, with additional headroom measured at 1.6-inches up front and 0.9-inch in the rear. There’s also leather upholstery, aluminum and wood trim, and premium infotainment. The e-tron drivetrain pairs a 3.0-liter TDI powerplant producing 258 horsepower with two electric motors, yielding a grand total of 373 horsepower and 516 pound-feet of torque. A sprint to 60 mph takes six seconds, while fuel economy is 138 mpg. Citroen has quite a few interesting ideas in play with the Aircross concept. Beyond the love-it-or-leave-it styling, I think the interior shows great promise. I like the seats, the infotainment system, and the passenger communication setup. The idea of individualizing your own audio experience is certainly quite attractive to anyone who’s been on a long road trip with someone with less than ideal musical tastes. I also really like the idea of external cameras capturing local points of interest for a quick diversion. What’s that? You’ve never tried the tacos around here? Well, let’s get lunch – this place a few miles down the road has great reviews. However, I think the drivetrain has to be complete vaporware. Hybrid drivetrains are all the rage nowadays, and while it certainly seems like we can have our cake and eat it too when it comes to efficiency and performance, 166 mpg and 4.5 seconds to 60 mph is a bit too unbelievable for me, especially for a big SUV laden with leather upholstery, tons of speakers, and 22-inch rims shod in off-road rubber. But that’s what makes concepts so cool – the “what if” factor. Citroen is daydreaming here, which means we may or may not see some of this stuff in future models. And while it would be great for a mid-four second blast to highways speeds with only 313 horsepower, I’ll put my money on the infotainment system instead. The Citroën Aircross concept car will be unveiled at the Shanghai Motor Show later this month. This symbolic venue was chosen to reflect the importance of the Chinese market, which accounts for 25% of total sales and stands as Citroën’s number-one market.